The rear panel is just as elegant, with combo XLR and 1/4" TRS input connectors making the iNUKE compatible with virtually any source, balanced or unbalanced. Professional twist-lock speaker sockets are provided to ensure every drop of output power gets to your loudspeakers. The rear panel is also where you�ll find the switches that enable iNUKE amps to work in either dual mono, stereo or mono bridge mode. 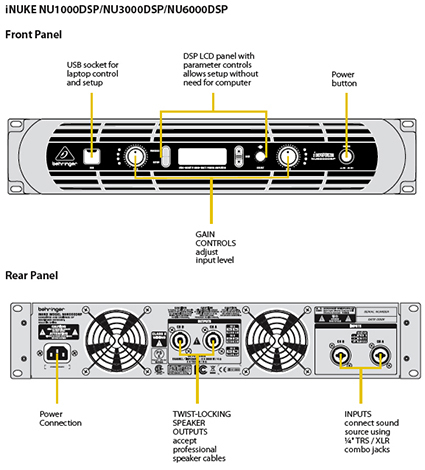 A built-in CROSSOVER switch enables the amp to operate in biamp mode, sending low frequency content to passive subwoofers, while the high frequency output is channeled to fullrange loudspeakers (CH1>100 Hz / CH2<100 Hz or FULLRANGE). Flick the LIMITER ON/OFF switch to activate the built-in overload protection, or turn it off if you�re feeling lucky. 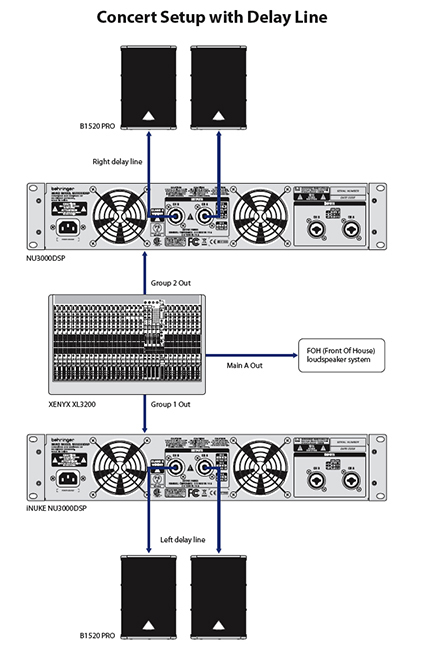 For sound engineers requiring high-level control capability, iNUKE DSP Series amplifiers come ready for action right out-of-the-box. The built-in DSP and 24-bit/96 kHz converters ensure the ultimate signal integrity with an extremely bdynamic range. DSP functions include a sophisticated delay for delay-line loudspeakers, crossover, EQ (eight parametric, two dynamic), and dynamics processing with lockable security settings. A convenient front panel LCD display allows you to setup and make adjustments directly at the amplifier, without the need for a PC. 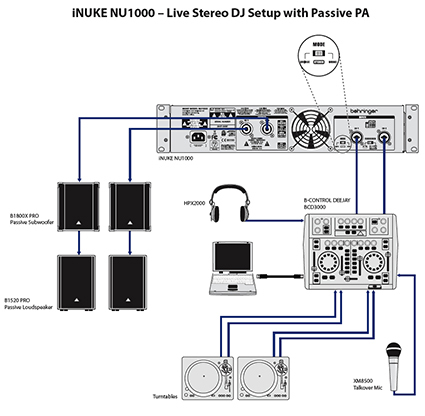 All iNUKE DSP models can also be set up, controlled and monitored via the front panel USB connector.